We offer a wide range of flange plate, root and bracket options to suit your project. 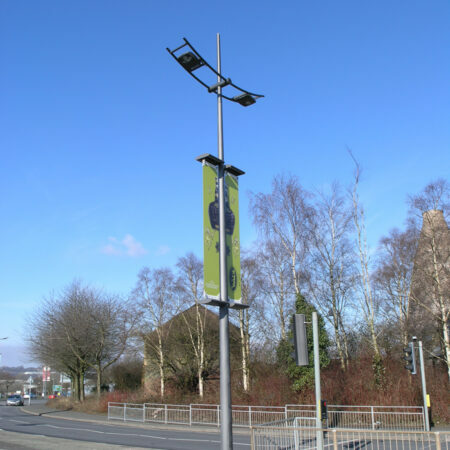 Often the luminaire Position or light source needs to be a specific distance from where the column is positioned. To solve this, we manufacture any number of bracket variations. 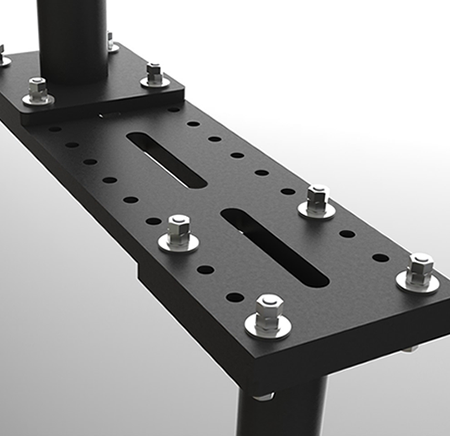 The length of the offset we refer to as bracket projection and in addition to the different projections, we offer unlimited variations in size, shape and style. 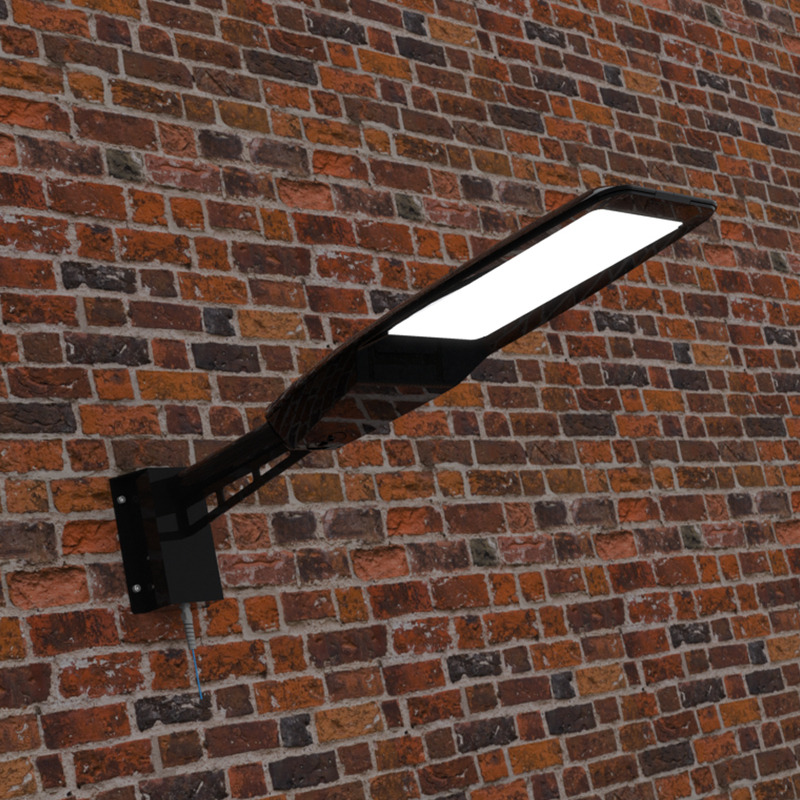 These range from basic utility brackets to decorative heritage style scroll brackets and architectural sleek modern brackets. 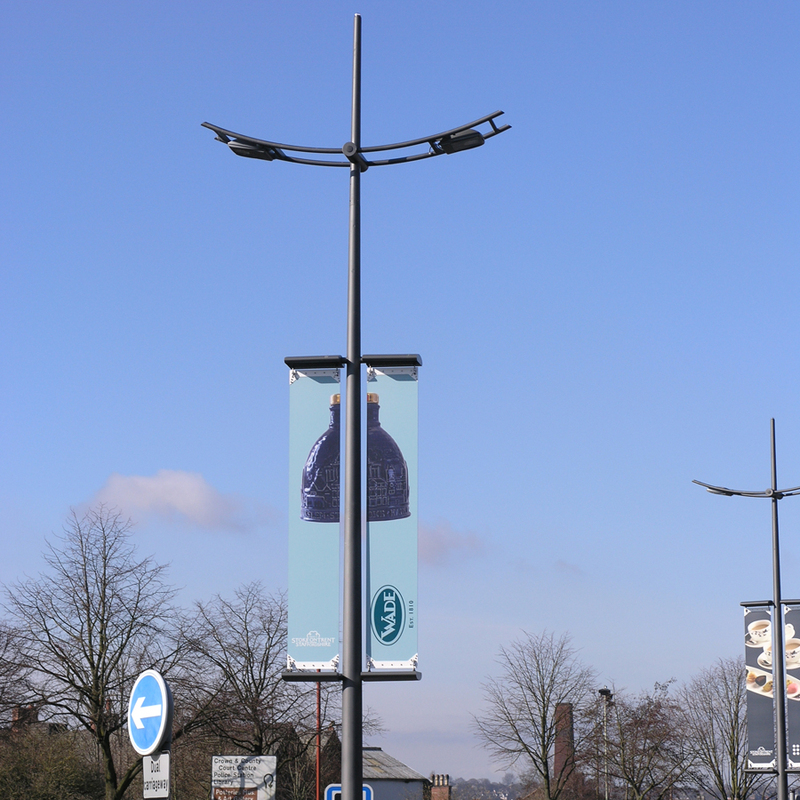 Brackets can be supported on any type of pole, either tubular, conical or passive columns. 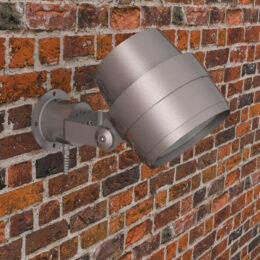 We also manufacture brackets to mount on walls or clamp to existing structures. 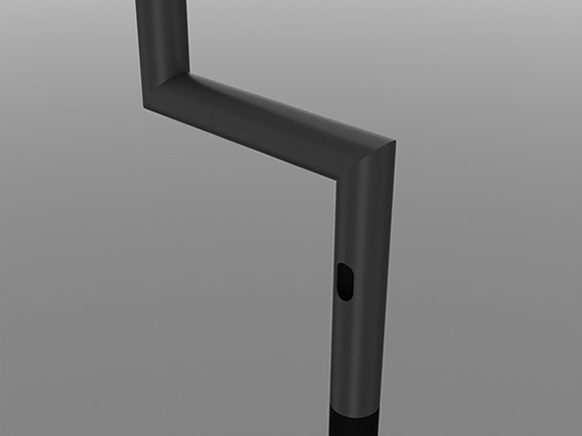 Offsets or projects the light source away from the column. For use with Luminaires, CCTV, Traffic Signals, Banners, Hanging Baskets and other attachments. 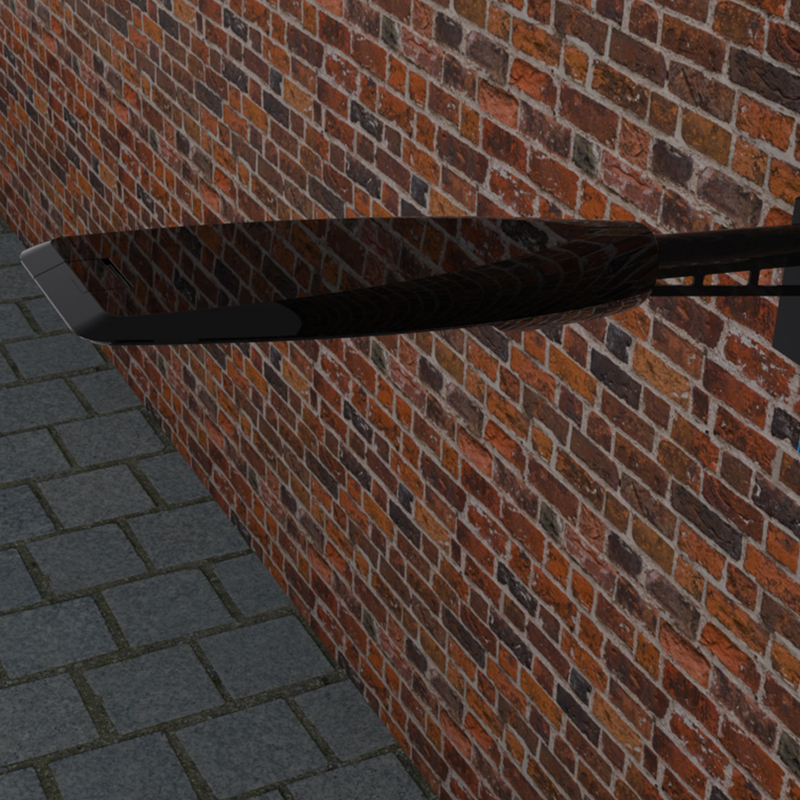 Can be fixed to walls and other surfaces. 1. 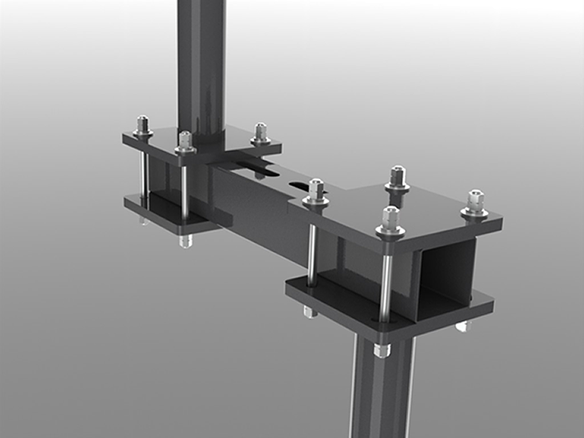 Shallow Modular Offset Root – For use in areas where services are very close to ground level. This system is supplied c/w a multi-drilled plate to suit various offset centres. 2. 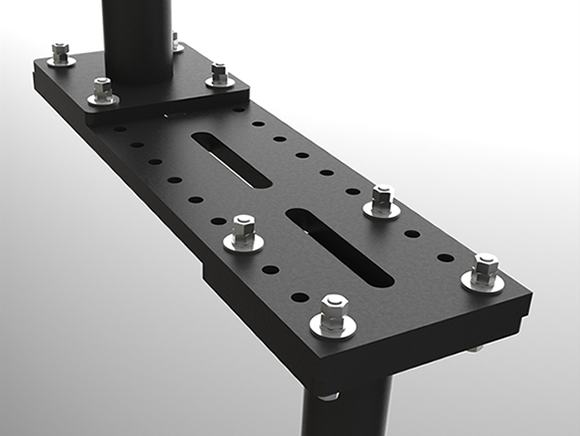 The Raft Modular Offset Root – Designed to give the ultimate in lateral flexibility. 3. 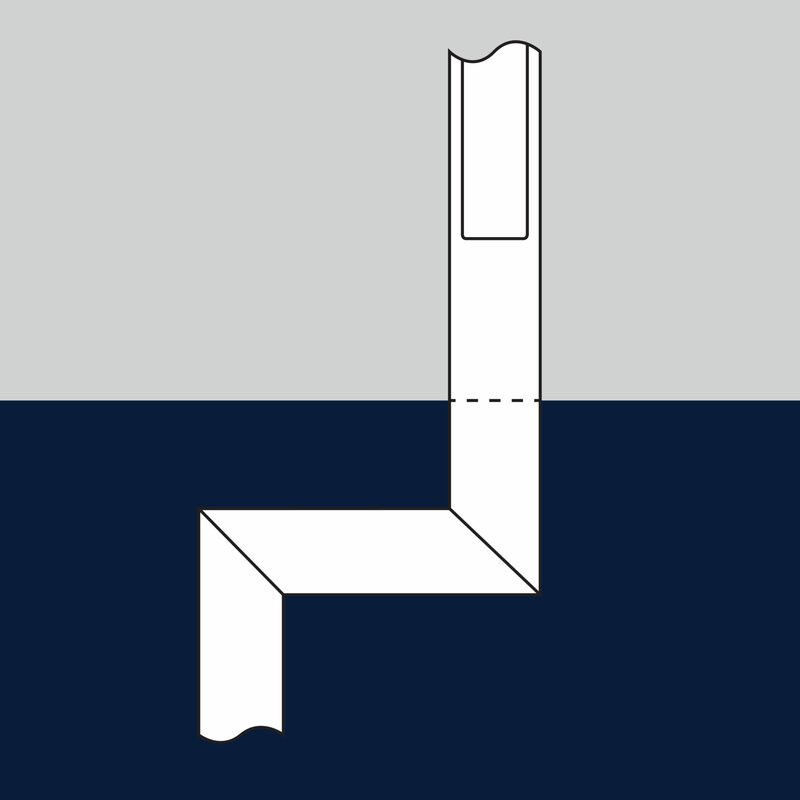 The Fixed Integral Offset root – To be used when the position of specific service obstructions are pre-known. 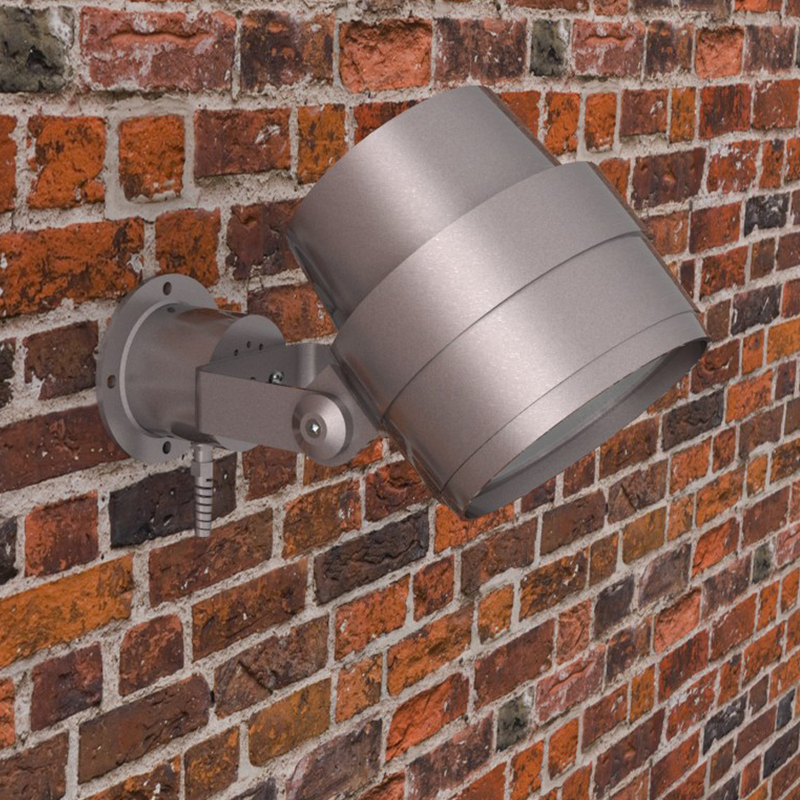 Allows remote position for foundation keeping the column and luminaire in the desired location. Avoids existing services and other obstructions. 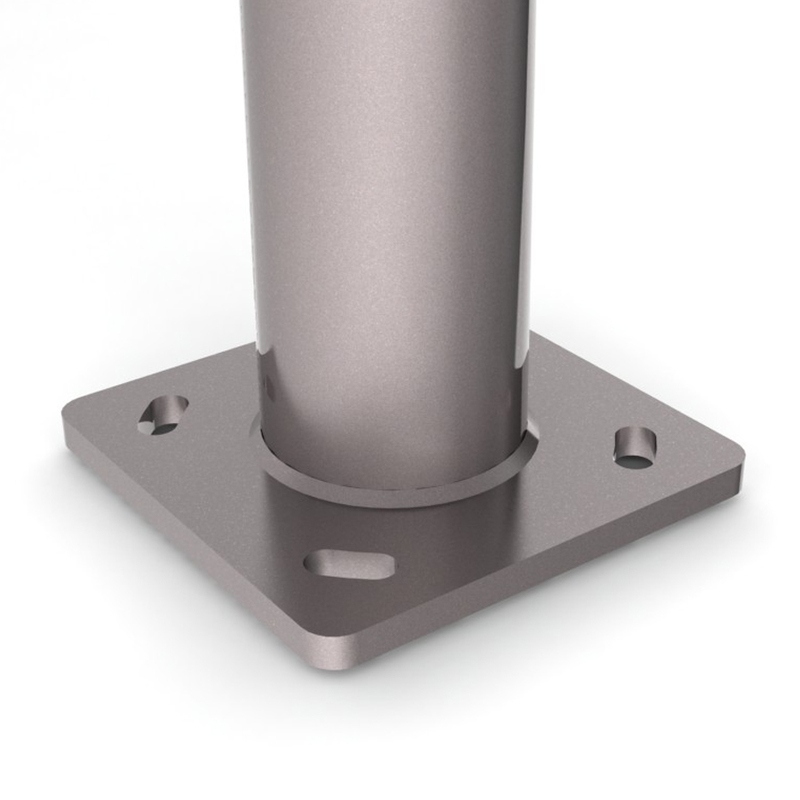 Bolt on roots are used in conjunction with flange plated columns. It provides a modular two-phase approach. 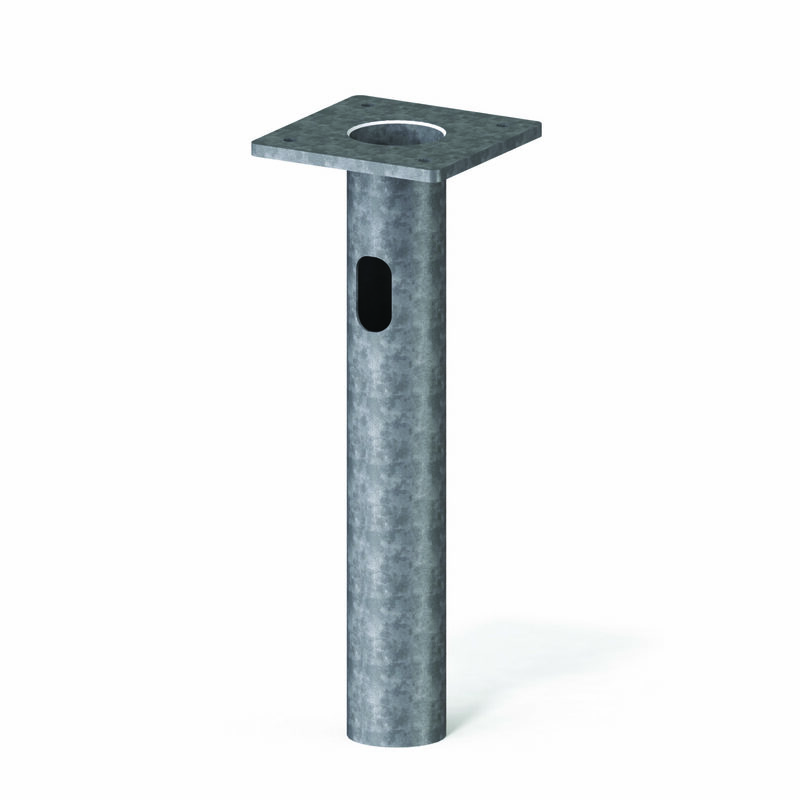 Holes in the ground can be excavated and the root concreted in position before the column even arrives on site. 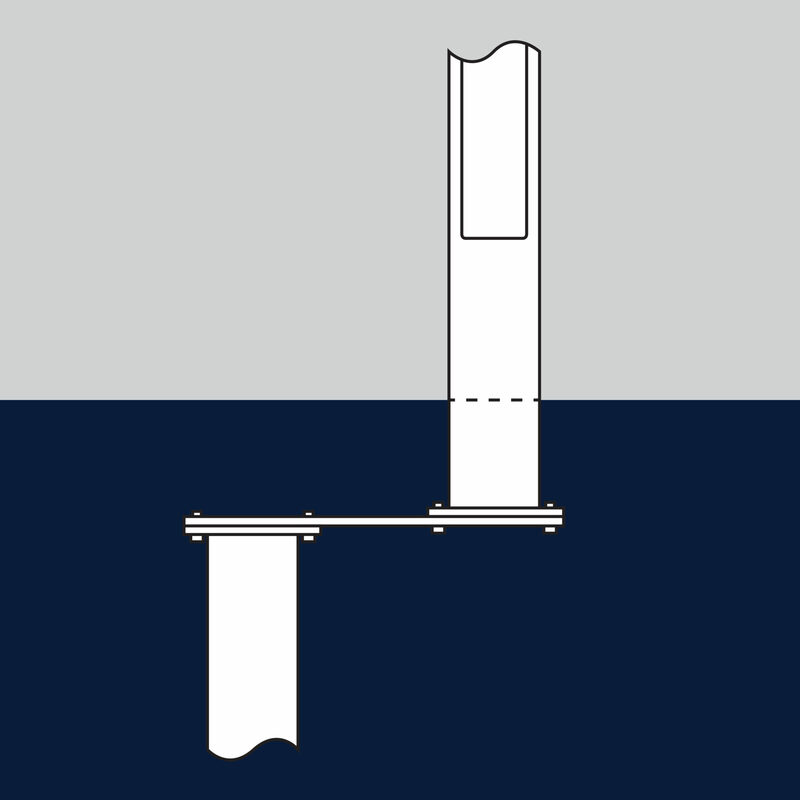 The flange plated column can then be connected at a later time via suitable fixing bolts provided. 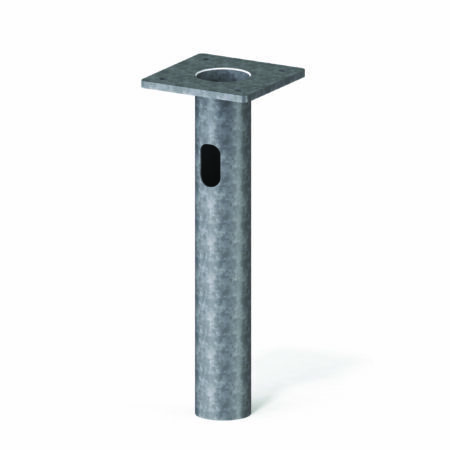 Reduces the concrete footprint required. It is not always possible to excavate and plant a standard column root into the ground. 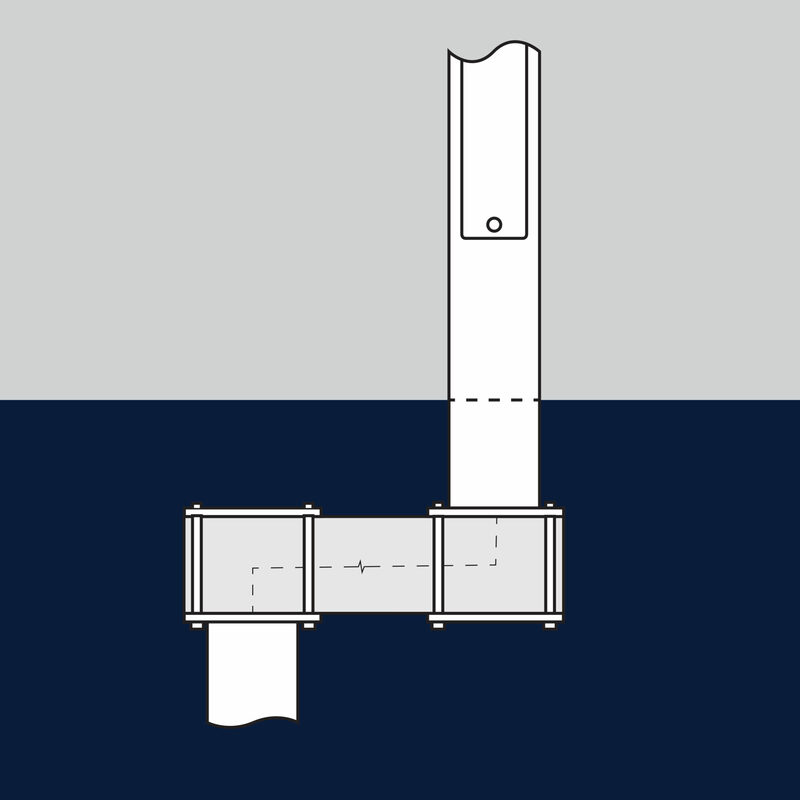 It is, therefore, possible to manufacture nearly all our products with flange plates so that they may be directly connected to pre-cast concrete foundations. 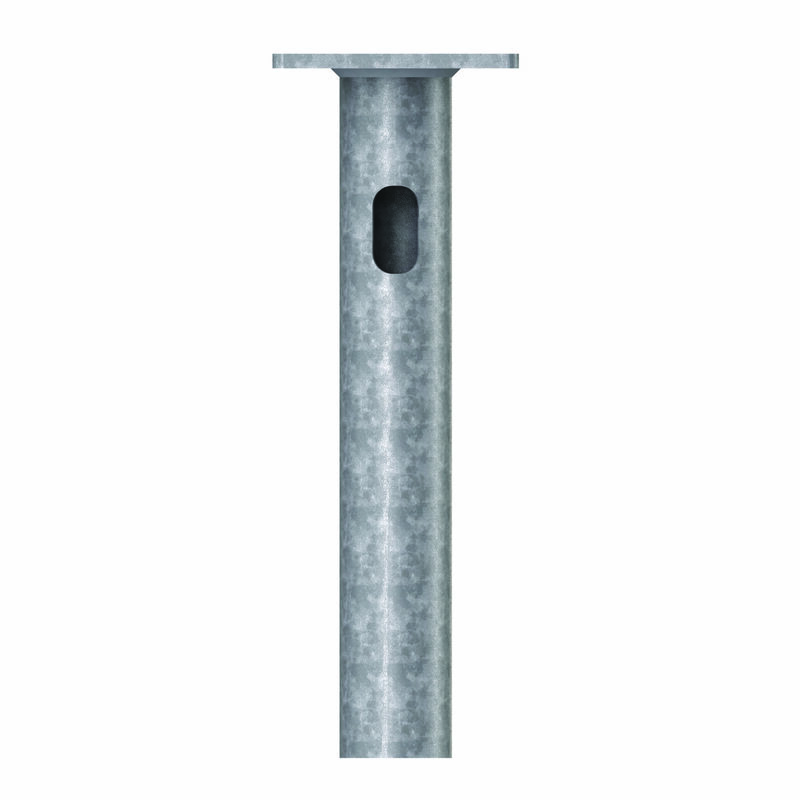 Suits precast foundations with pre-set studs.